Win Win Management s.r.o. 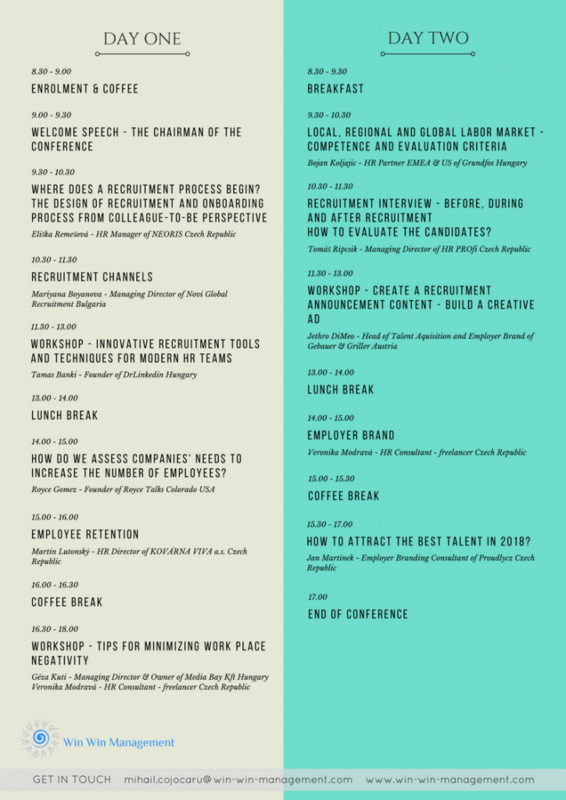 invites all HR experts to HR International Conference! 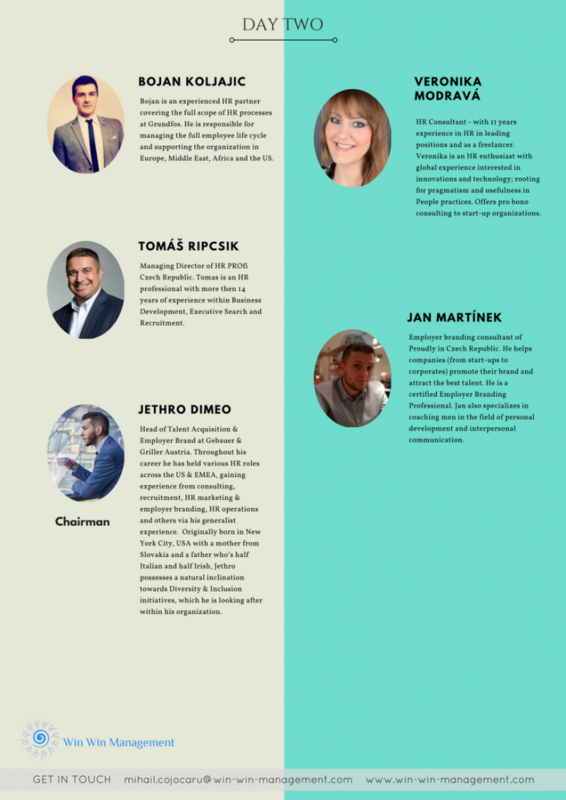 Our speakers are from different countries such as USA, Austria, Hungary, Bulgaria, Czech Republic, Slovakia. 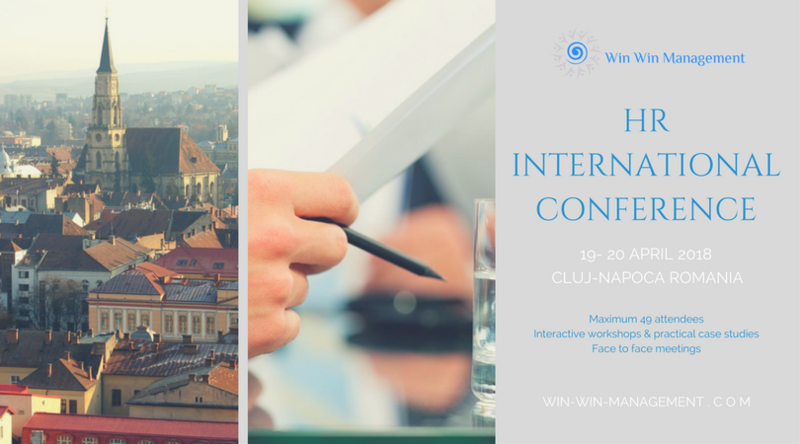 The conference has 3 main directions: innovation, interaction and networking. 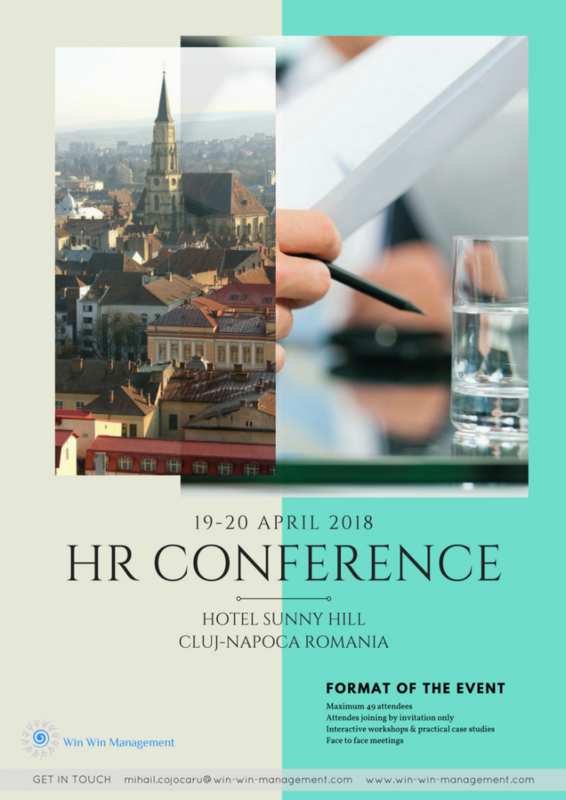 All topics are focused only on those challenges that matter the most for HR industry from Romania at the moment. Join and share experience and knowledge in a closed door business meeting, with maximum 49 HR experts, 11 hot topics that includes 3 workshops and 8 practical case studies! Please keep in mind that the places are limited in order to be a proper networking! 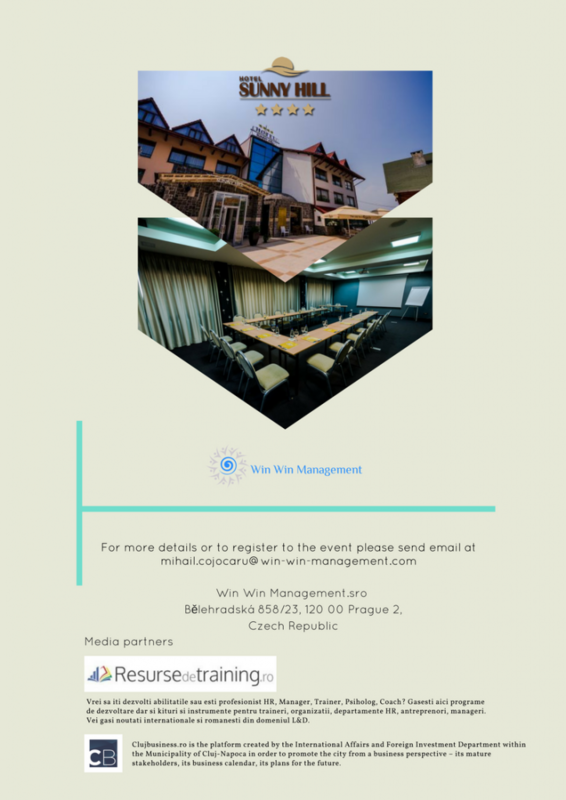 *Use the code “ClujBusiness” when you register at this event and you can get a 10% DISCOUNT. Seats are limited so hurry up!